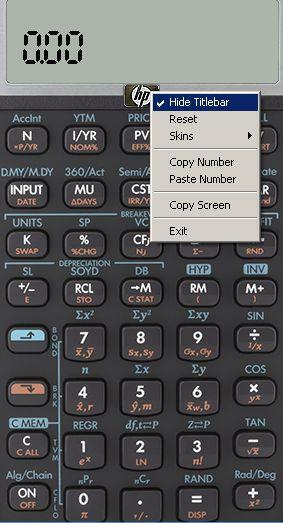 Hewlett-Packard Calculator Training Page - emulator download site. To setup the emulator to use the least space on your notebook PC screen, right click on hp logo, uncheck "Hide TitleBar". To exit Emulator, press [Gold Shift] [Off]. i wanna to download this calculater so any one can help me ?